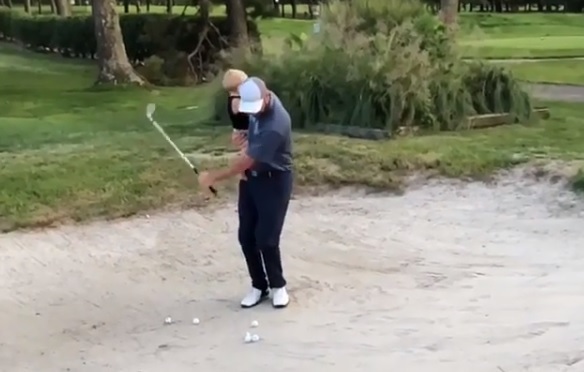 WATCH: Dad shows how to golf and parent at the same time! Golfing dad produces some golf magic with his baby on his arm. Parent life can be hard when you're balancing the life of a toddler while still looking to hone a golf game.